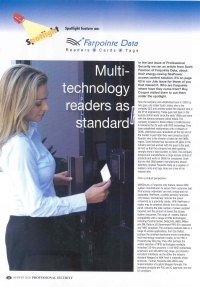 STG reviews the technology advantages of the Farpointe reader range in an editorial commissioned for a security magazine. 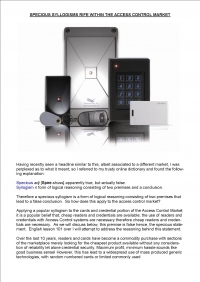 Click on image on the right to download this Article. 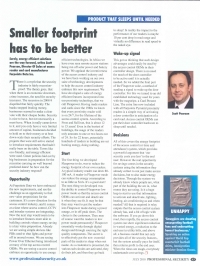 Editorial written by Scott Pearson of Farpointe Data discussing ways of reducing cardon footprint when using access control systems. Who are Farpointe Data and where have they come from? Roy Cooper of Professional Security Magazine visited them to put them under the spotlight.